The four core disciplines of Woods Hardwick worked jointly for clients Canton Ltd to secure outline planning permission for up to 130 dwellings and 1 ha of education on this unallocated land outside of the village on the grounds the Council did not have a 5 year housing land supply at the time. The site is an area subject to a ‘landscape designation’ on the southern edge of Elsenham in Essex. We were appointed at an early stage to survey this green field site of just over six hectares in preparation for a planning application. 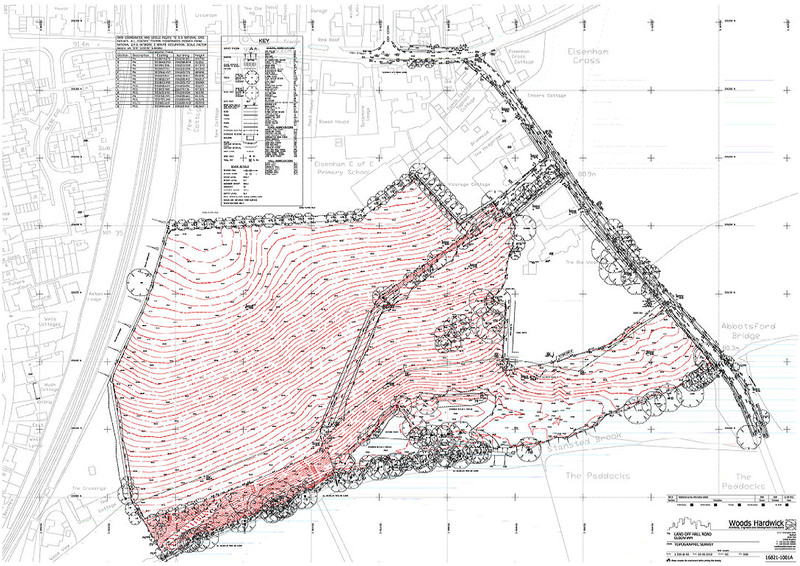 We carried out the topographic survey of both the site and the immediately surrounding areas, detailing the highway access points together with vision splays, proposed offsite sewer routes and the watercourse to the south for FRA purposes. 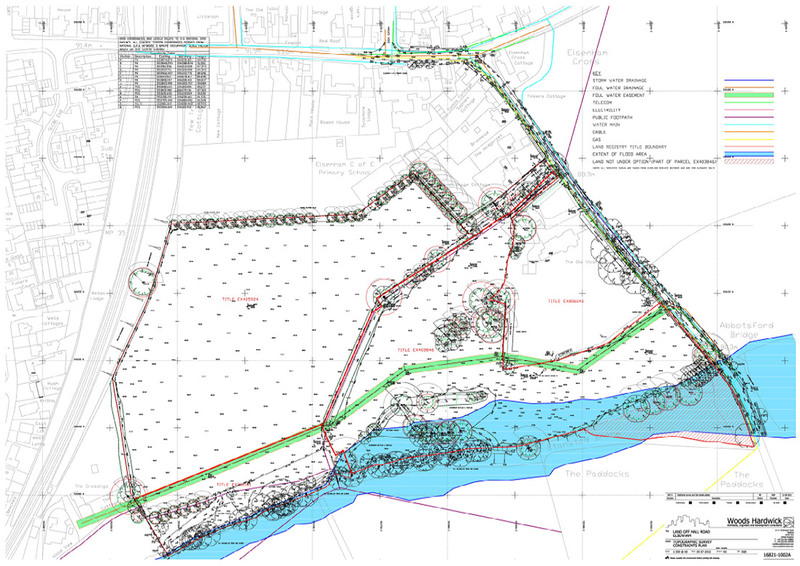 Buried manholes were traced, dug out and surveyed and the complex Land Registry titles reconciled with the existing site features, to demonstrate access was available to all areas.